Are you someone who is prone to allergy or have an asthma problem and in recent times do you have a feeling that the problem has aggravated? Do you know that the culprit could be your HVAC system? When contaminants get inside the indoor air people suffering from breathing problems or allergies might start feeling uncomfortable and so you need to always ensure that the indoor air is absolutely clean and free from all kinds of contaminants so that you can get to breathe a healthy air. One of the most effective ways to keep your indoor air free from dust and mold is regular cleaning of the air ducts. When it comes to cleaning of the ducts always keep in mind that it is not a DIY thing to accomplish but a specialized task of HVAC professionals so it is important that you get in touch with reputed HVAC professionals for the task. However, at this juncture, let us have a look at some of the most prominent benefits of cleaning the ducts of a home. 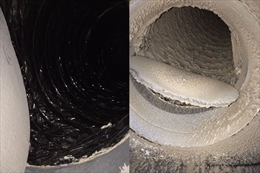 As already been mentioned, indoor air quality is of prime importance, and one of the most obvious benefits of duct cleaning is maintaining good indoor air quality. By cleaning air ducts, homeowners are able to keep away harmful dust and fungi away from the indoor air which in turn might aggravate instances of allergy. This is because when the air is not clean it can be a breeding ground for a lot of harmful and unwanted particles. At the same time, ducts might be a haven for mold and mildew as in many homes the ducts systems are located in basement and in most cases the basement of a house is wet and damp. This moisture can encourage the growth of mold and mildew which in turn cause various health problems for those dwelling in the house. Similarly, if you have pets at home it is common for animal fur to get trapped inside the vents which in turn might cause fungus, allergy and other related health problems. So it becomes important that ducts are cleaned at regular vents to keep away all these unwanted particles away from the air. Energy efficiency is another important factor that needs to be taken into consideration. This is because after years of constant use when dust and other particles get accumulated in the vents and the result is the units will have to work harder in order to produce the desired efficiency. On the other hand if the ducts are well-maintained there will be no extra strain on the unit and the HVAC units will be able to function more efficiently. Taking cue from this it can also be said that when there will be less strain on the unit there will be energy savings and the lifespan of the unit will increase. 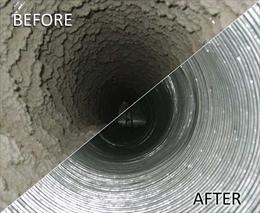 Last but not the least, an effective duct cleaning will include extracting all build up material and dust from inside the ducts of the HVAC units and there will be expert professionals who will be able to determine the areas that needs deep cleaning.